Hi there crafty friends. I hope everyone has been busy getting creative. Over the last couple of weeks I’ve been doing more challenges because the theme for each challenge helps to provide a little inspiration. This card was actually made for a crafty friends daughter who has been having some awful crazy allergies. The inspection comes from the Lawn Fawn Sketch Challenge 28. The unicorn and castle are from the Lawn Fawn stamp set “Critters Ever After” and were colored using Spectrum Noir markers. 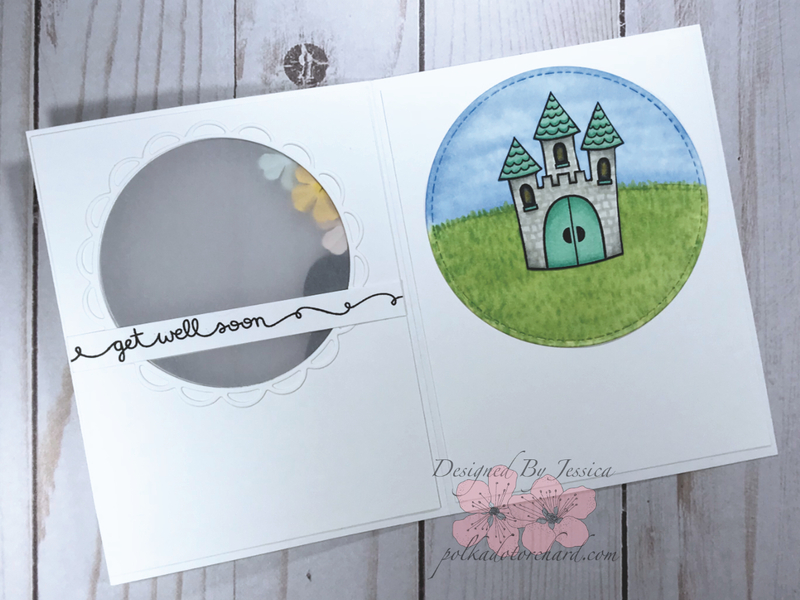 I decided to create a little scenery for the castle and cut it out using a stitched circle die then attached it to the inside of the card, right behind the window cut in the front of the card. I wanted the castle scene to look a bit faded in the background so I attached a piece of vellum behind the window. I then cut a pretty scalloped border for the front and back of the round window. After adding the unicorn and sentiments I felt it needed a bit more, so I added a few Prima flowers and black flat back mini pearls. Oh yeah, the awesome sentiments used are also Lawn Fawn stamps from the set “Scripts Saying”. 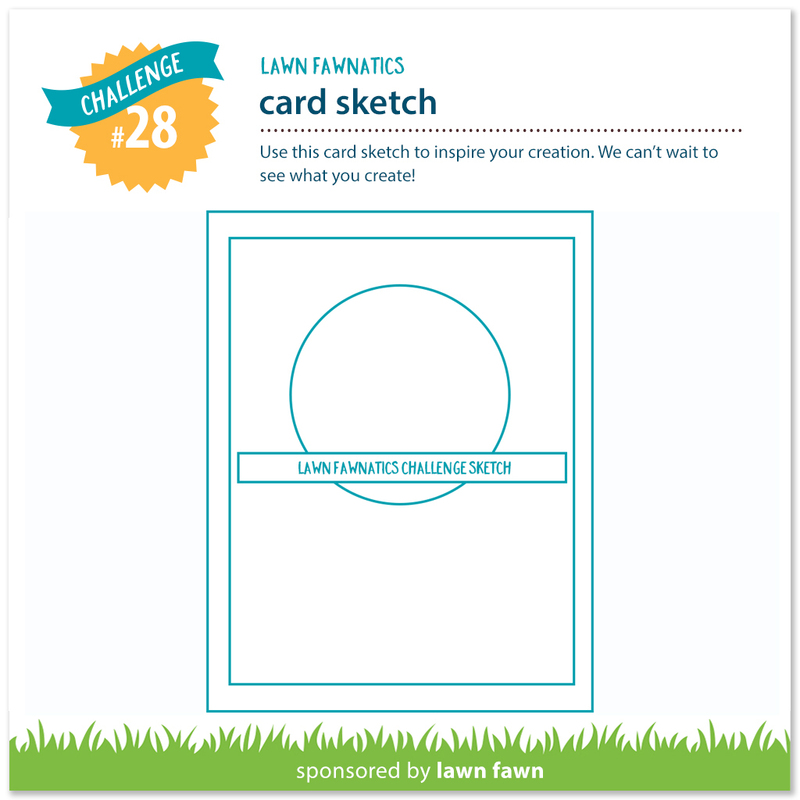 You should give this sketch a try even if you have missed the challenge, its a very clean and easy layout. amazing window card! You created such a beautiful design with the sketch inspiration! Thank u so much for playing with us at Lawn Fawnatics!! Ooh, how Sweet!! This is just Fantastic… the image is sweet and I love the use of vellum! !